Using social media is fundamental for reaching a large audience and gaining traction for your business. 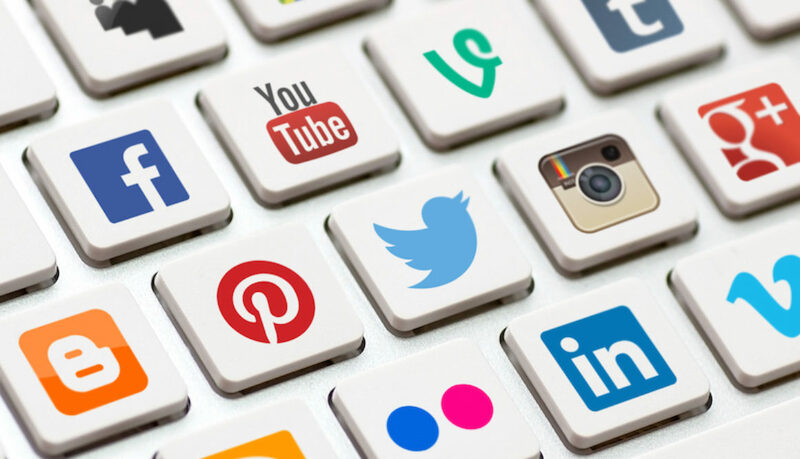 Here are four ways to spruce up your social media accounts. If you have old logos or pixelated pictures – get rid of them. Update them consistently for each of your social channels. This can have a huge impact on the impression your company gives. Better pictures, better quality and better content = a bigger audience and more followers. Sometimes we are so distracted with other things we put off what we originally intended to achieve with our social media accounts. Write down a list of goals and think about how close you are to achieving them. If you’re not on the right track, think about ways you can enhance your social media accounts to reach your goals. It could be just a little tweaking, or it can be a lot. It’s important to know your goals, whether it’s to gain more followers, gain a bigger presence in your niche or anything else you have in mind. 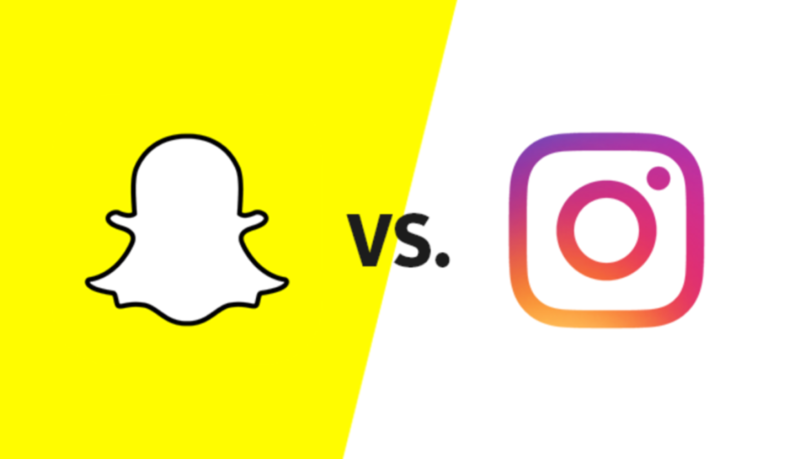 Do you notice one social media account doing better than the other? Is Facebook thriving with likes and comments compared to your Instagram? Take a look at each account and note which seems to be doing the best and what seems to be struggling to gain traction. Depending on your business or brand, not every channel will help you you reach your target audience. Twitter, for instance, can be a helpful customer service tool, but if you’re hoping to sell more products, maybe Instagram is best. Sometimes switching your time investment from one channel to the other will benefit you more. The best way to see if you’re on the right track to success is to look at what your fellow competitors are doing. You can learn from their successes and emulate them and you can notice what they might be struggling with and remember not to do that. So, take three main competitors and scroll through their social media. See what’s working for them and what you can implement within your own strategy. You can also use these insights as a benchmark when it comes to evaluating your own performance. WordPress and Website Builders are vastly different from each other. Depending on what type of website you’re trying to build and your skills using different platforms will decide which is best for you to use. Here are some tips describing the differences between the two and which one will be best to use for you. A website builder is typically a drag and drop website builder that lets you build a website without any coding experience. It’s really simple and easy to use and they usually take you through it step-by-step so you can make your website quickly and easily. Most of these builder websites are cheap to pay for and they have some beautiful designs. You can customize the webpages to your liking, including the design, layout, content and images. It will look like it was designed by a professional. Some of the most popular DIY builders today include Squarespace, Wix, and Weebly, although there are dozens of different tools available. WordPress has been around for quite a while, typically used for a blogging platform. However, many major companies are starting to use WordPress for their websites. You can purchase themes and your URLs directly through WordPress or you can purchase your domain from a separate hosting site such as Host Gator. 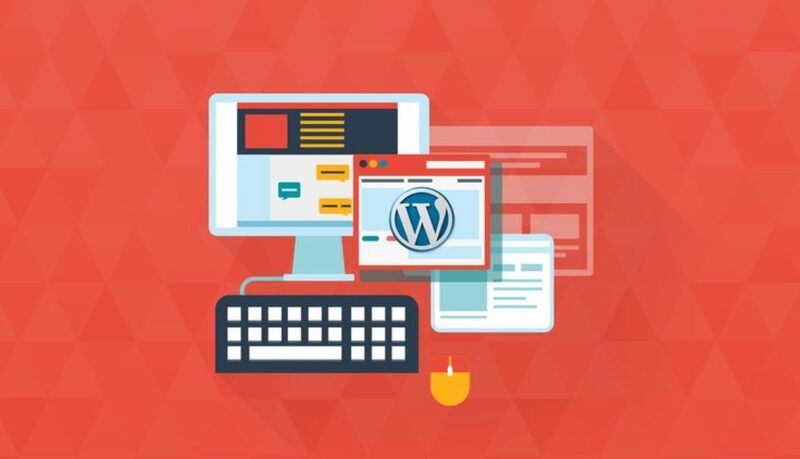 With WordPress, you have A LOT more options for customization, however it takes a degree of knowledge of web design and CMS to really get the website to how you want it to look and for it to be professional. A builder is great for those who want to build a website quickly, easily and without much effort. I’ve found that it’s great for portfolios and personal blogs. It’s not really that great for a larger scale website or if you plan to sell products. WordPress has a steeper learning curve and it can take more time to get the hang of how to use it. Within only a few hours you can have a good looking website using a DIY builder. WordPress is a content-oriented site builder. It’s best to use WordPress if you’re looking to build a large-scale business website. However, there are many people who like to use it as a regular personal blogging platform too. The great part of is that it comes with endless options for plugins. You can purchase themes directly from WordPress, but you can also look at sites such as ThemeForest or ThemeZilla for various theme options and designs. Once you import the theme, it usually imports it’s demo content. This way, you already have a structure to work with, making it easier for you to customize to your tastes. Overall, if you are looking to build a large scale type of website with endless customization tools and more control over the design, this is the platform you should use. Did you know that using popular emojis in your posts can actually increase engagement from your audience and click-through rates? A study found that participants who were sent messages with emojis scored higher on memory than those who were sent messages without emojis, indicating that emojis can make your message more memorable. That same study also found that emojis can help portray your business as friendlier: participants who chatted online with an expert who used emojis rated the expert as both friendlier and more competent, compared to participants who chatted with an expert who did not use emojis. Sounds crazy that a little use of emojis can help your business, but the studies above give an indication that its worth looking into. From a marketing standpoint, emojis are undeniably useful. Emojis in a tweet can increase engagement by 25.4 percent, and emojis in a Facebook post can increase the number of likes by 57 percent and the number of comments and shares by 33 percent. If emojis can so drastically increase the likelihood of engagement, there’s no reason you shouldn’t be using them. But with all that said, there are still 2,666 emojis to choose from. So which ones increase engagement the most? Which ones incentivize people to click your link? Which ones should you avoid? I would say that the “pointing finger” emoji is the most popular. Marketers use this when they are writing content to direct you somewhere else, so why not use it? Most of these emojis are useful year-round, but some, like the Christmas tree, are likely effective on a more seasonal basis. Some of them, like the winking emoji, are probably popular because they convey your sense of humor. It gives you and your business personality. Hopefully, this data can help you humanize your brand and convey more meaning and emotion in your content. 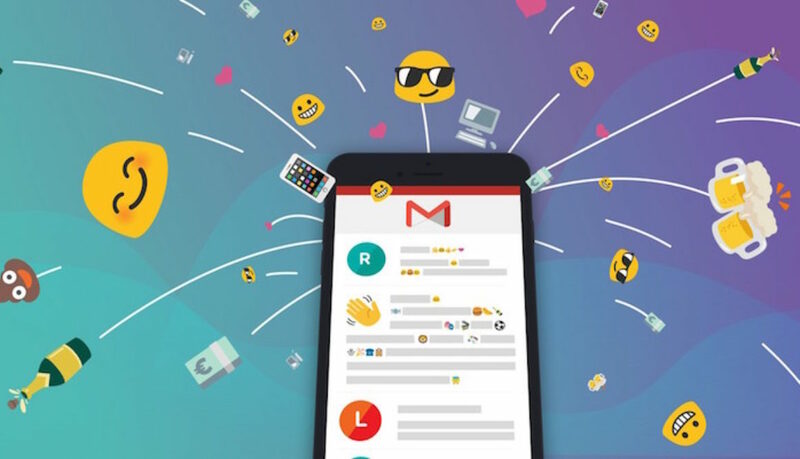 Emojis, even the octopi and horses … actually, especially the octopi and horses … encourage interaction from your audience, higher click-through rates, and better messaging from your brand. But use them sparingly! You don’t want to use so many that your message gets lost in a heaping pile of emojis! Organic searches are essential for the success of your website. But, what exactly is an organic search you might ask? In a nutshell, as incredible as your branding may be or as innovative as your product or service no doubt is, if you’re not ranking on the first page of Google’s search engine results for relevant search queries, people may never know that your business exists. In fact, the number one position on a Google search enjoys 33% of the traffic, so it’s important to focus on attracting organic searches. Here are our top four tips for improving your organic traffic and page rankings. Before you boost your website’s search ranking, it’s important to know where you currently stand in Google’s search results. By understanding this information, you’ll be able to see where you need to improve and provide yourself with a solid base from which to work. Tools like SERPs.com will check where a site page ranks for a certain keyword or term, but you might have to pay (get around this by using a free trial). You can also just type in your website name, or post titles in the search engine. If it ranks between the first and third page, then that’s a great start. The higher you rank, the more traffic you get to your website, and the more Google recognizes that you have a quality website. 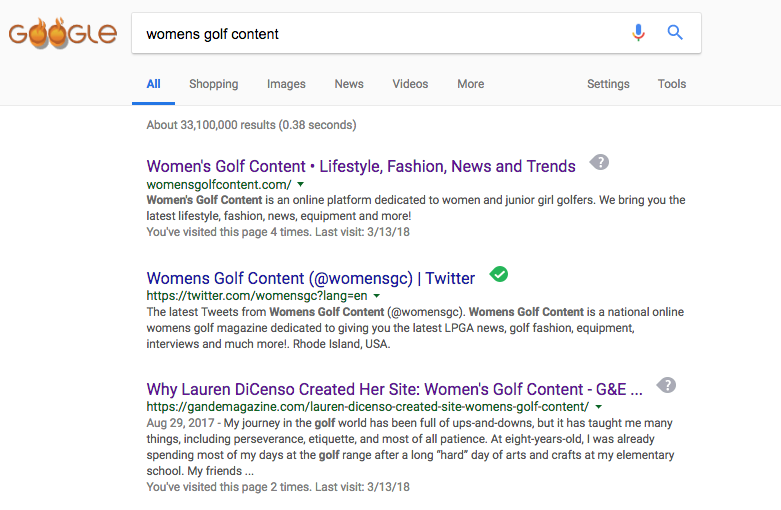 Here is an example — when I type in “Women’s Golf Content” in the Google search bar (the name of my website) it pops up as the first ranking on Google, along with my Twitter account and my interview with G&E magazine. This gives my website more legitimacy. Write a list down of all the keywords that relate to your website. 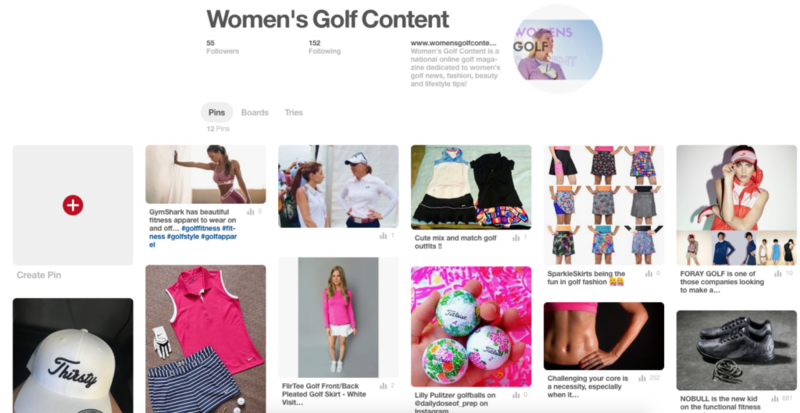 For my website, I use keywords such as, “Women’s Golf,” “Golf Fashion,” “Golf News,” etc. Doing this will allow you to be able to pick the most relevant keywords for your site to bring in related traffic that increases your page ranking. If you target the right keywords for each page of your website based on what you’re trying to sell, the message you’re trying to communicate and where you expect to meet the customer on their buying journey, you’ll see a vast improvement in your organic search rankings. What keywords will drive conversions? What central topics can my keywords be grouped into? What keywords could I generate content on that will result in rankings and traffic? By using buyer personas, a website is two – five times more effective and easier to use by targeted users. Today’s consumer is savvier, and empowered than ever before, so to engage with their needs and in turn, build your organic search authority, you’ll need to produce high-quality content that is educational, insightful, and personal. By using a buyer persona and creating your content with a human being in mind, rather than a search engine, you’ll stand a far greater chance of your content being consumed and shared, creating backlinks which will increase your search rankings. When you’re improving the copy and content on your site page, always consider if it’s digestible, conversational, and suitable for a human audience – if it’s no good for you, it’ll be no good for others, and it will not rank well. 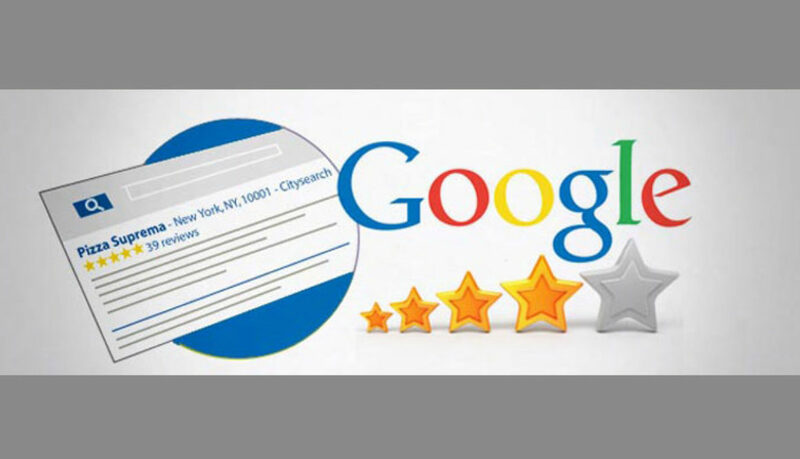 While your meta description isn’t a direct ranking factor regarding search crawling, it does have an impact and if written well, this small snippet of sales copy encourages people to click through to a webpage, boosting its authority and helping your page to rank better for certain keywords. 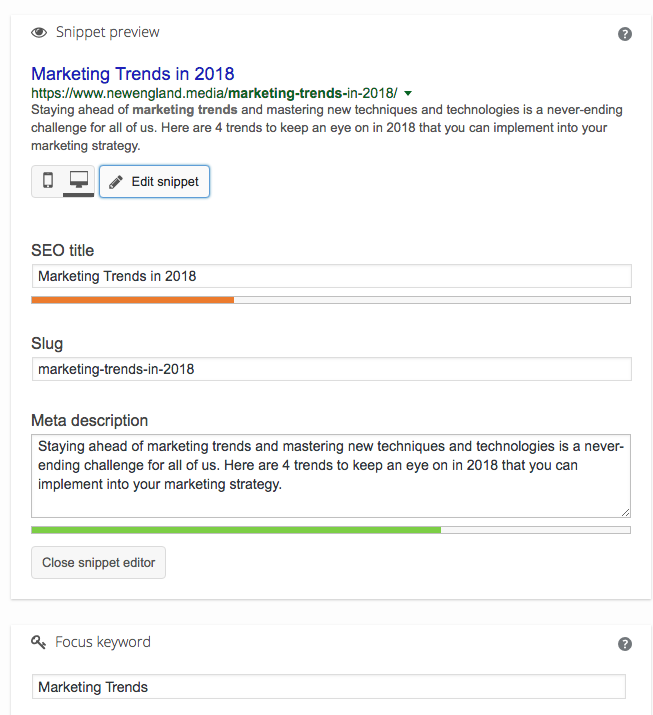 Also, if you use your target keywords in the description, Google will bold them when your page appears on SERPS, making it more eye-catching to web searchers. Again, each meta description should be unique, contain keywords and be no longer than 160 characters. You can see that the meta description has a nice length and has a good focus keyword that relates to the content I’m writing about. Make sure to download an SEO plugin to help you rank in searches. Also consider using rich snippets to even further attract an organic search. Although these are only four tips out of many, I found these to be the most important for your website to rank higher on search engines. In short: consistently check your current rankings, download and use an SEO plugin as shown above (include a good meta description, and a title with your focus keyword somewhere in it), and most importantly, make sure you put your audience above your concern for rankings. Quality content will increase traffic alone. Every year, new ways to engage in social media emerge. 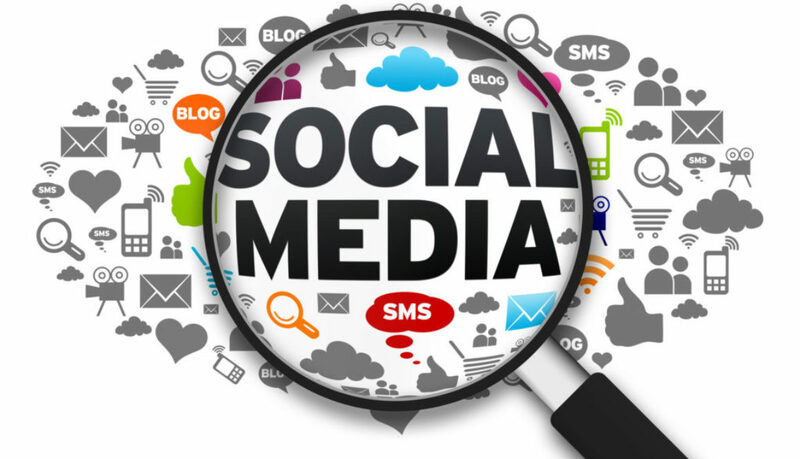 It’s important to review and implement these new features into your social media strategy. If you try new things on social media this year that other brands aren’t doing, you have a much better chance of surprising your audience and engaging them. 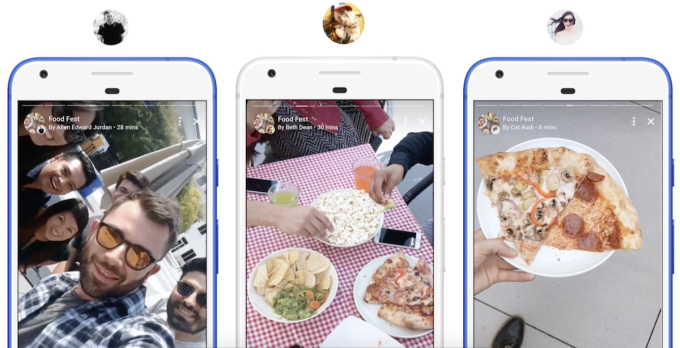 Here are some new features to try in 2018 on Instagram, Facebook and Twitter. Facebook’s Stories—which allow you to post content that disappears after 24 hours—is now available for groups and events. People can post Stories that are visible only to their groups or on any event page. These Stories will have a private hashtag and will be moderated by admins to make sure that content is appropriate and on-brand. There’s now an easy, and free way, to to add soundtrack to your video. Facebook has introduced the video editing tool Sound Collection, which lets you add sound effects or music to your video clips. Audio files on Sound Collection are royalty-free so you don’t have to worry about copyright infringement or blowing your budget. Ready to showcase your best stories? Instagram Stories Highlights lets your brand make engaging stories and can be permanently posted on your Instagram profile. This feature is super valuable for brands because Stories Highlights can be saved, reposted, and measured for long-term performance. You can organize your own Stories Highlights however you want before you post, whether it’s by theme, campaign, or date. Stories Highlights is also a good way for you to promote the content you want users to see first. They appear right below your bio for easy viewing. 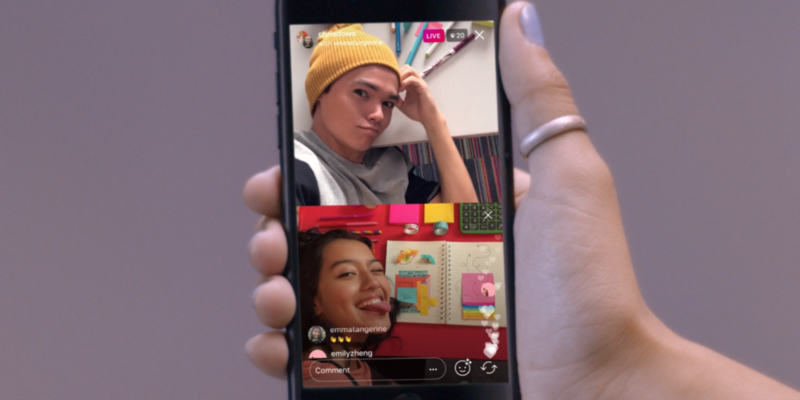 Instagram now lets users and brands broadcast live with a guest in a split screen format. Broadcasts will appear in the Stories section of the platform with two circles (instead of the typical one circle). 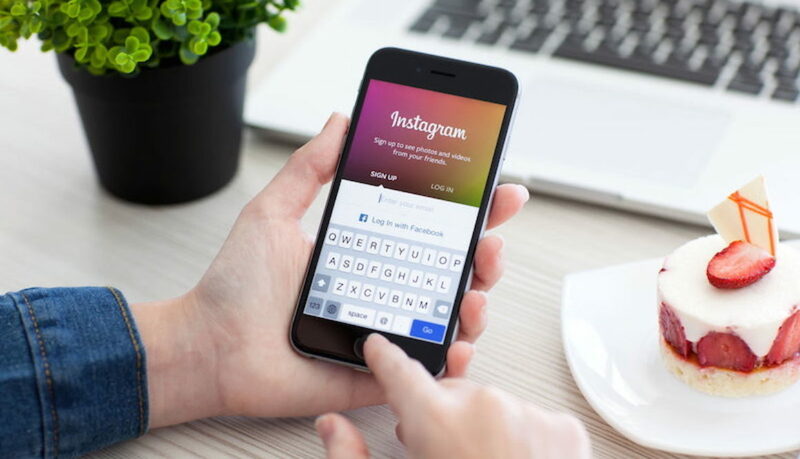 If your broadcast receives a lot of engagement, you could end up in Instagram’s Search and Explore tab. When planning a collaborative broadcast, think about how two speakers can create unique content for this new format. You might choose to invite a guest from a strategic brand partnership for an announcement or ask an influencer to co-host an Instagram takeover. Remember when Twitter had 140 word limit we had to work with in the past? Well, Twitter has finally increased the word count to 280-characters. Twitter said that the character increase would allow people to express more, while still encouraging the importance of brevity. Play around with new storytelling concepts that would have been formerly impossible under the 140 character limit—but don’t write more just because you can. Being clear and succinct is still the way to go on Twitter. 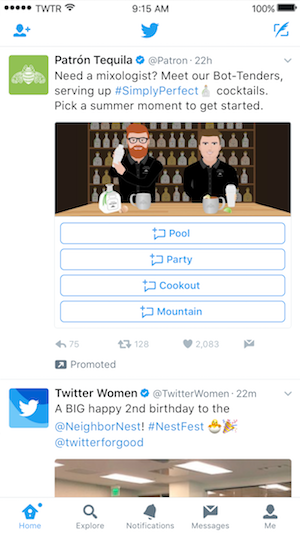 With Twitter’s Direct Message Cards, your brand can share engaging images and videos—with customizable call to action (CTA) buttons—all within your message conversations. DM cards give brands the freedom and flexibility to consider the customer experience and take a more visual approach to customer interactions. Many small businesses focus on creating a Facebook, Instagram and Twitter, but there is a hidden social media market called Pinterest that is unnoticed by most B2C companies. Maybe it’s because they may not have heard about the site and its many benefits. With 200 million monthly users, Pinterest may not be a social media that’s as powerful as Facebook, but it’s an important social platform. Half of all U.S. millennials use Pinterest, for instance. Pinterest offers a different approach to gaining market exposure through the use of pictures that are linked to your articles or website. A Pin is simply any image or video that someone chooses to save to Pinterest. For businesses, more important than the image itself is the link: Every pin links back to the original source, so Pinterest can be a great source of referral traffic. Users (called “Pinners”) save a lot of stuff—an incredible 100 billion Pins to date. In order to keep things organized, they sort their Pins into collections called boards. For example, you can have a board called “Golf Apparel” or “Golf Courses” so as to separate your photos by categories. The social media platform has many categories that can be broad or a niche topic. Your profile can contain as many boards as you would like and you can either create original pins or re-pin from other users onto your board. Pinners can follow your entire account, or just the specific boards that interest them most. Then, the Pins you save will appear in their feed. Each pin should have a link attached to the image, which will direct the user to whatever website you want them to go to. A Pinterest feed is just like a feed on any other social network—it’s a collection of links and content from boards and users that the Pinner has followed. What Will Pinterest Do For Your Company? 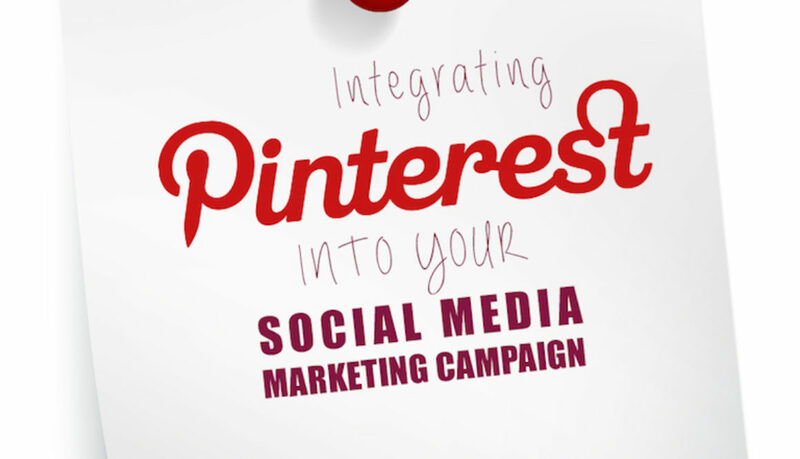 Pinterest provides a marketing strategy that’s different from other platforms. The idea that you can create boards, post or re-post pins and include links for each one is a great tool to use. With the use of these pins you can draw interested users to your main site, thus increasing qualified web traffic. Additionally, by re-pinning relative content onto your own page, you draw more users to the content on your boards through popular pins. However in order to successfully use this site, you must actively post new pins and re-pin relevant, popular pins onto your own boards each day. By frequently pinning content, you create an opportunity for users to notice your brand and potentially increase the number of followers on your profile. If you’re a business, more than likely you have a website and even more important, let’s hope you have some CTA’s on your pages. There’s no such thing as a successful marketing campaign unless there is a successful CTA. If you want to make money, get more conversions, more subscribers, ect. it will all come down to if you have CTA’s. The CTA is so important to the success of any online marketing initiative. What it looks like (Design). What it says (Copy or Text). Have multiple CTAs. 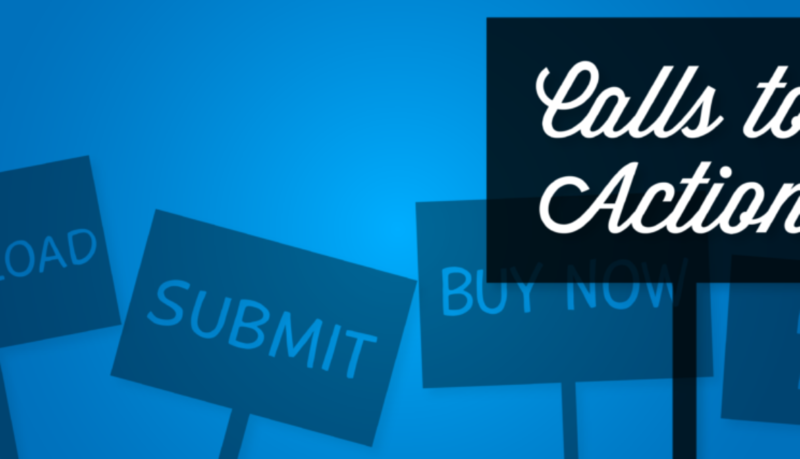 The more CTA’s you have on a page, the better chance you have at getting conversions. However, the CTA’s should not compete with each other and should not confuse the user. Put CTAs on every page. Every page gives users a new opportunity to do something. So why not add a CTA to every page? It won’t hurt anyone and it’s bound to catch their eye eventually. Make CTAs prominent. Place your CTAs strategically, so that they receive maximum attention and visual focus. Just as the placement of the CTA’s are important, so too is the design. If it’s not appealing to the user, they aren’t going to give it a second thought. Recognizable. Don’t let your message get lost in a fog of creativity. People must recognize your CTA as something they are meant to click on. Well-Defined. A CTA should be part of the page but set off from the main body of text. Use a stark outline or shadow and/or contrasting colors to provide a clear definition to your CTA. Appealing. Your CTA’s look should draw people to it. Colors, image and typeface create appeal when used correctly together. Once you learn the basics of how to use CTA’s you will be able to use it to improve your profit and conversion rates.